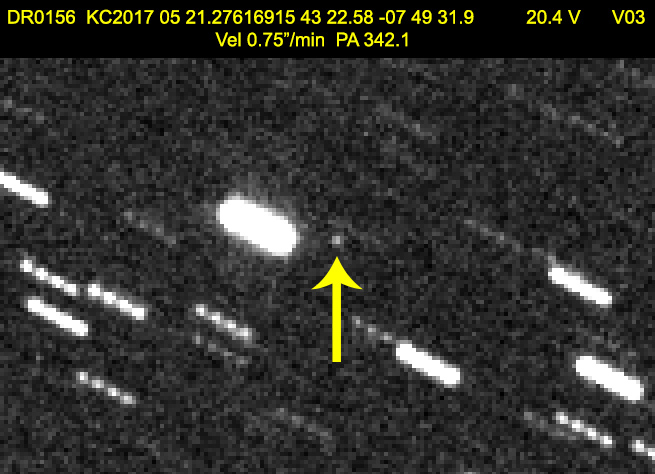 I found this asteroid on 5/21/17 at apparent magnitude of about 21. It ended up on the NEOCP and is looking like it may be a MBA or Mars-Crosser. Update, previous obs were found from F51 going back a few months. This is an inner MBA.